Packer has launched new pricing across its range of machine stretch film. You can now buy rolls of DXS-23, DXS-23-BLACK, DXS-28 and 2053-20 film at new, lower prices. The range includes standard cast machine stretch film, as well as power pre-stretch film, in thicknesses from 20 to 28 micron. Stretch film helps to keep pallet contents safe from contamination, while also keeping them secure enough to reduce damage in transit. DXS-23-BLACK opaque black stretch film can also be used to conceal load contents to increase security and prevent theft. This range of film is ideal for use with PSW-N10 and PSW-NP12 best-selling turntable pallet wrappers. Each machine can wrap to a maximum height of 2.2 metres, with mechanical brake or pre-stretch options available. 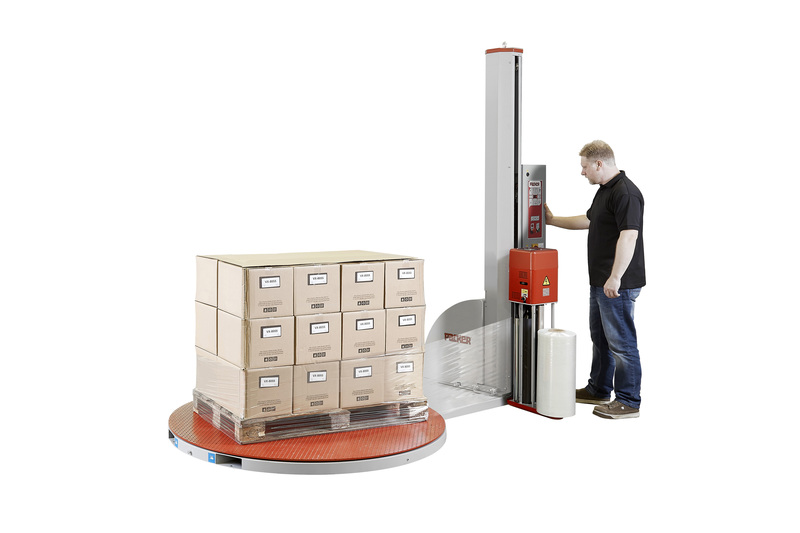 Both models feature straight forward control panels and a choice of automatic programs as well as a manual cycle, which is ideal for wrapping pallets of different sizes accurately. The PSW-NP12 offers a keyboard lock too, allowing a cycle to run without interruption. Loading film is quick and easy to help keep downtime to a minimum. The PSW-N10 has a mechanical hand brake for adjustable tension, allowing the correct tension to be applied for light or heavy pallets. The PSW-NP12 includes a powered pre-stretch feature to stretch the film prior to wrapping for maximum cost saving. As well as standard stretch film, these machines can also take mesh film used in food and flower packaging to allow for increased air ventilation. Alternative masts and specialist turntables are available to order for both models. You can find everything you need to wrap your pallets here.